They aren't obligated to return the favor, especially if they don't read your work. Because if you gave a ton of ink then everyone was going to get 25% of their donated ink back. Plus it was a chance to get people to take a peek at your comic as well. Well, a lot of the people donating to each other had been meaning to do that. Like, they're friends and support each other or they hadn't been able to donate because one didn't have the subs to unlock inking. Even if people were doing an "ink for ink", there were still a large amount of other people who were inking because of support. I dunno...the whole "ink for ink" or "sub for sub" sounds more obligated than fun. Anyone who's good with fonts, I need your opinion!! I think it looks more comic-y now and fits better, but my only concern is that now everything's in all caps and it looks super aggressive in my opinion. Thoughts...? I like after better. The first one looks stiff and for some reason reminding me of a badly translated comic. That is... dedication. XD good luck, mate. Def like the after...it fits the art. have you considered a purple tint? Oh OOPS!! 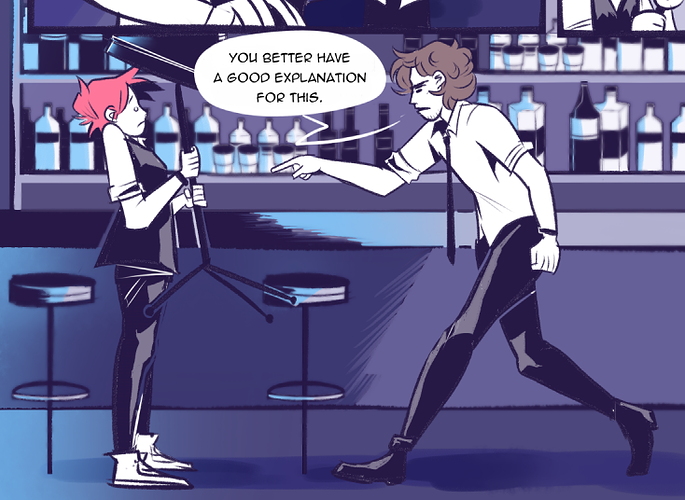 I usually tint all the font purple, but forgot to do that this time ... I’ll have to fix it tonight, thanks for reminding me!! I also tend to think all caps looks aggressive when I compare it side-by-side to mixed caps, but then I remember that all caps is incredibly common for comics, so I don't worry about it. I've heard it said that mixed caps can make text more readable since the words end up with more unique shapes due to the mix of tall, short, and tailed letters. But I think that's only really a factor if readability is a problem in the first place, which it isn't in Leftovers. If you're looking for a modern font to add to your next Canva design, inside, we show you 60 free san serif fonts that will give your creation a modern edge. maybe something from here could help? 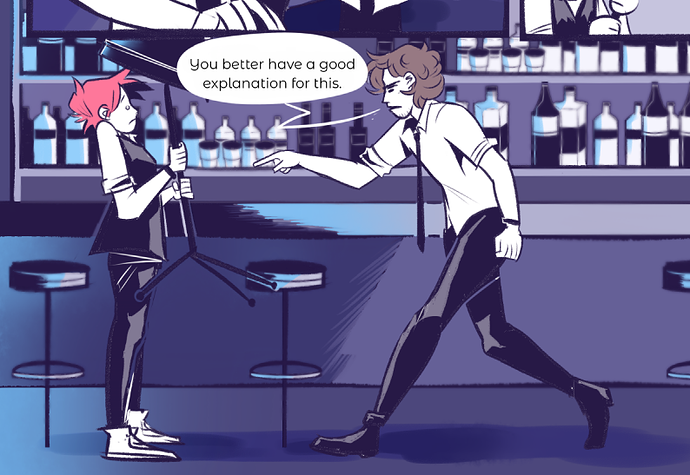 If you are maybe looking for a compromise, I know of one font which offers a hand-drawn comic-bookish look in both small and large caps. 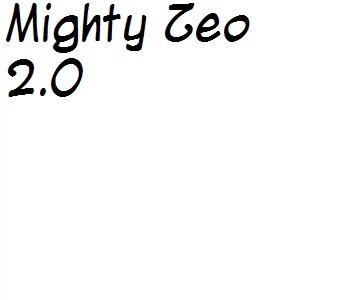 It's called Mighty Zeo 2.0, and I think it's a free download from Blambot. finally got out of the house proper and went to the library. an interesting thing that happened though, our library has a sort of creative area dedicated to art and tech lot of nice stuff for both the youth and the adults and one of the librarians/workers whose seen me frequent the library comes over asking when ill be "gracing them with my presence" ive been thinking about it almost nonstop since he said it and still cant quite process the invitation. You should definitely do that. I have been trying to get my wife's novels into local libraries for years now. I cannot get them onto the shelves even by donating copies. (I suspect that they just get tossed into the recycling dumpsters.) Libraries are very high profile if very locally concentrated.